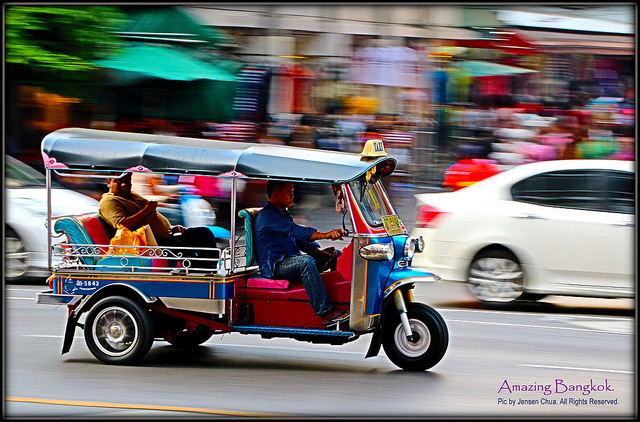 Picture this: you’ve recently moved to a new country where you are just learning the language, and you are feeling a bit overwhelmed and lost. One day, a colleague approaches you with something she thinks will remind you of home. It’s a book in English, and it’s all about “American culture”! Excited (and homesick), you open the book and read a sweet story all about a boy in a sparkly, perfect suburb who eats too many hamburgers, gets sick, and has to miss his friend’s pool party. You sigh and smile at the well-meaning colleague. But you are from Detroit, and none of your friends had pools when you were growing up. Plus, you’re a vegetarian. It was a nice gesture, but this book doesn’t reflect America to you – it has nothing to do with your culture. 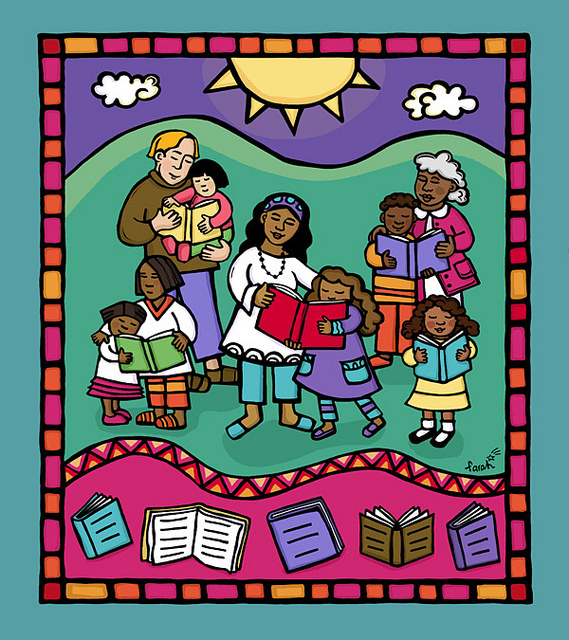 Whether we pick bilingual books because we teach Dual Language Learners or because we want our sons and daughters to grow up with an academic advantage, they must be “culturally accurate books…that respectfully represent…cultures, objects, and themes”, according to the NCCLR. The NCCLR specifically recommends some of the books from our site, like Grandma’s Saturday Soup, by Sally Fraser, and Handa’s Surprise, by Eileen Browne. We at Language Lizard would like to introduce you to a whole range of our other books that also fit the culturally appropriate bill. 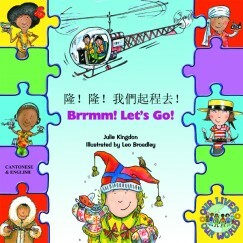 Books about holidays provide a useful access point for children of every culture– we all celebrate something! 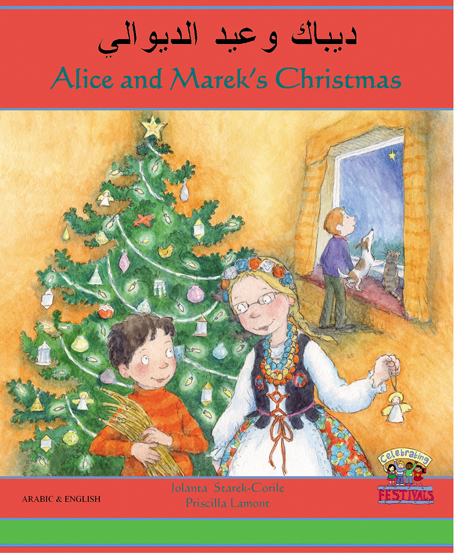 Our selection includes several holiday-themed stories which will not only feel familiar to the children from whose cultures they come, but will be fun and interesting for everyone who reads them. 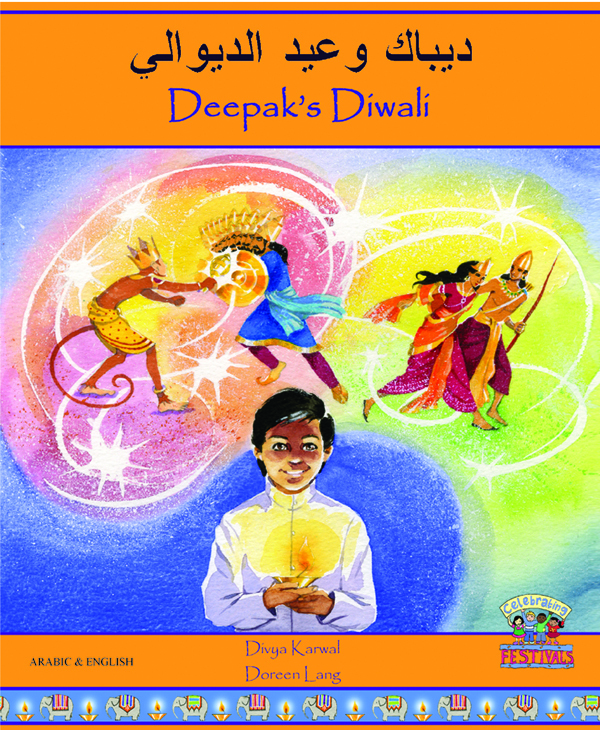 Deepak’s Diwali (by Divya Karwal) is one that has also been recommended by the NCCLR. We like it especially for its contemporary depiction of the holiday. This book stands out in the way it welcomes children who don’t yet know about Diwali with wonderful explanations and illustrations and even a section of fun recipes. 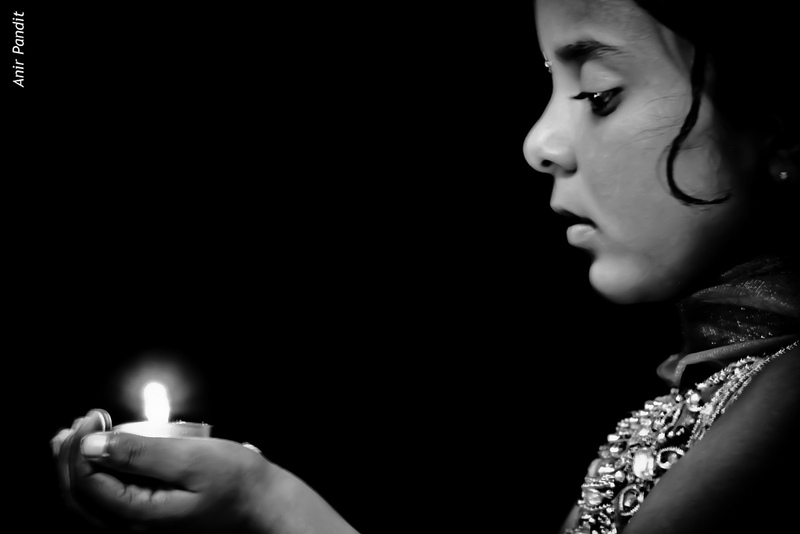 Yet it still shows its characters in their everyday clothes and mundane situations, meticulously avoiding the characterisation of those who celebrate Diwali as “other”. In the same vein, we’d recommend Samira’s Eid by Nasreen Aktar: its story, which unfolds from the dialogue between two children and their parents, is simple and educational, and therefore appropriate for young children who are only just coming into contact with our country’s growing Muslim population, yet it remains recognizable and enjoyable for those who already mark the festival of Eid. Children of Chinese heritage will relate to Li’s Chinese New Year. Again, this portrayal of the holiday avoids stereotypes. Readers will follow a sweet storyline about a little boy deciding which animal of the zodiac he wants to be in the school play (a great access point for school age children!). Fang Wang’s tale makes a new holiday feel accessible and non-threatening for children just learning about new cultures and their practices. Another way to bring cultural sensitivity into the bilingual books you select is to find those which deal with ordinary, familiar activities and topics that virtually all children will recognize, but from the perspectives of different cultures. Brilliant books like The Wibbly Wobbly Tooth and Mei Ling’s Hiccups, both by David Mills, show in sensitive detail the way children from diverse backgrounds respond to everyday problems. What should Li do with the tooth he’s just lost? How should Mei Ling get rid of her hiccups? The children’s classmates, who all represent different cultures, offer up the traditional solutions their families would use in these situations, from throwing a tooth on the roof to holding your nose and counting to five. In the same vein, Welcome to the World, Baby, by Na’ima bint Robert, gives young readers a sensory tour of the different traditions people from all over the world have for celebrating a birth. The students in the story touch, smell, and listen to objects that represent these cultural traditions, bringing the topic alive for the audience. 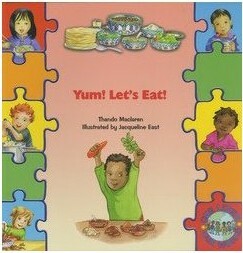 Our selection of titles from the “Our Lives, Our World” series shows children how people eat, travel, and play in different countries: Yum! Let’s Eat! (Thando Maclaren); Brrmm! Let’s Go! (Julie Kingdon); and Goal! 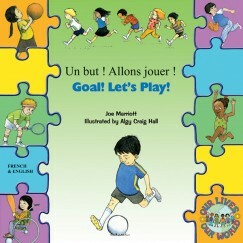 Let’s Play (Joe Marriott). Kids reading these books will be able to make connections between their lunchtime sandwiches and the fajitas Gabriella’s Mexican family makes; between the bikes they ride and Niran’s uncle’s tuk-tuk in Thailand; and between the baseball they watch with their parents and the fun game of cricket Nitesh plays in India. While refusing to resort to stereotypes, all of these books will support young readers in recognizing the amazing and diverse traditions and beliefs all around them while also providing a sense of familiarity. As they grow and learn to categorize, children often begin to perceive a divide between themselves and those who do not look like them: these stories will help bridge that gap. Of course, if we want our children and students to grow up appreciating and enjoying the diverse society in which they live, we’re going to want to choose books for them which show people of all different races participating in the experiences which so many children go through, like visits to the doctor, dentist appointments, and the first day of school. Dealing with a big step in every child’s life, Tom and Sofia Start School (Henriette Barkow) not only reassures little ones as they embark on this important journey, but depicts a classroom and school full of children from many different backgrounds playing together and making Tom and Sofia’s experience less scary. Sahir Goes to the Dentist and Nita Goes to the Hospital, both illustrated with unique plasticine figures by Chris Petty, use non-white characters to depict stories about these common “firsts” to put children of all colors at ease. 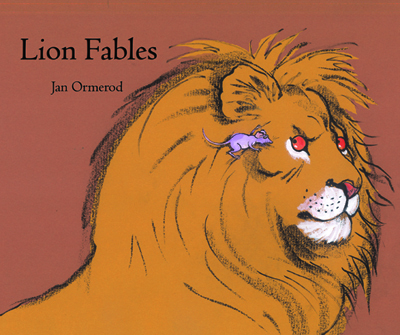 Books like these send the culturally sensitive message that even though we may look different, we all live in one society together and experience life in many of the same ways. Any differences we may have just make life that much more interesting and exciting! The fact that all of our recommended books are available in English with a range of different languages serves to reinforce the cultural appropriateness displayed by each story’s characters and themes. 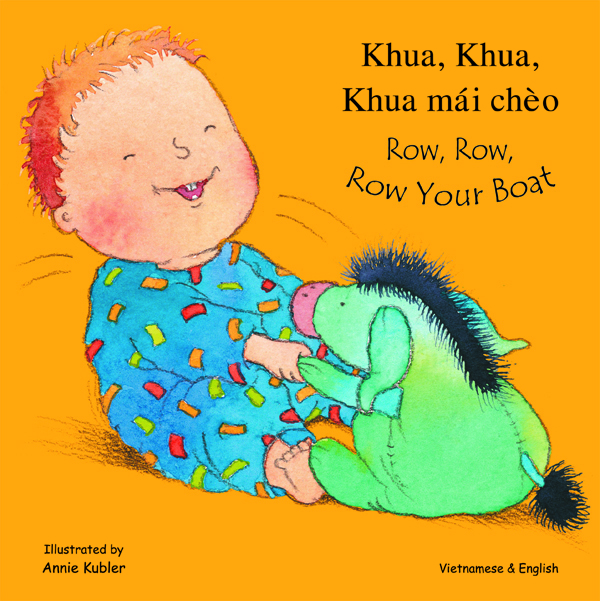 And, as the NCCLR asserts, these bilingual books “can be very helpful”, especially if the stories are unfamiliar to you when you first read them with your children or students. 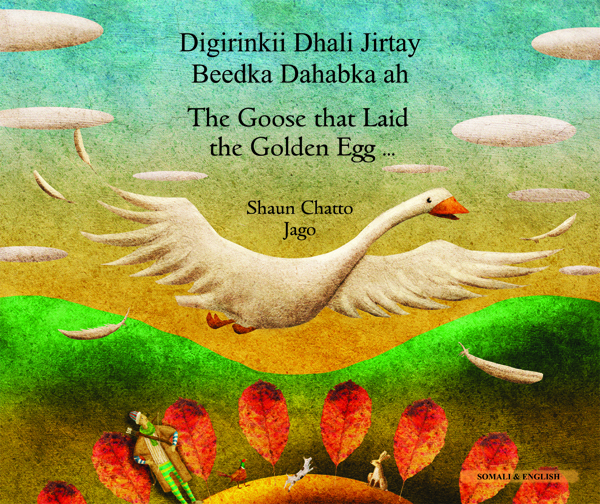 Choosing the right bilingual books for your readers – books that are authentic, respectful, and well-translated – will make a huge difference to the children reading them. Culturally appropriate stories will make all children feel valued, and will give them the foundations to become interested, informed global citizens. 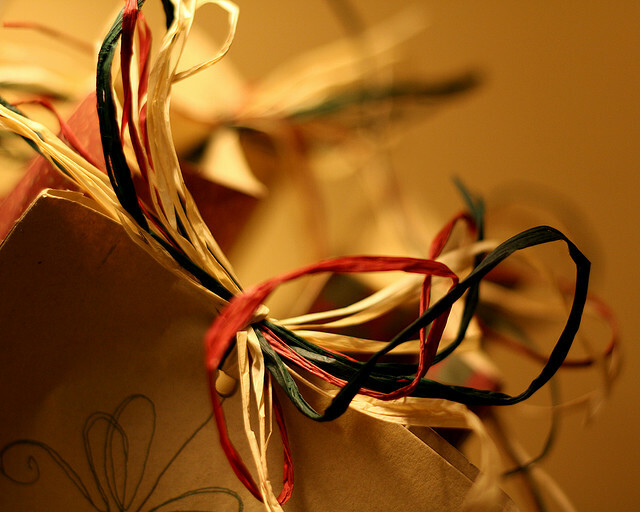 Twinkling lights, fires in the fireplace, and the smell of fresh pine needles – the holidays are upon us! For many, the most difficult part of this time of year is figuring out the perfect gift for friends and loved ones. For those of you looking for bilingual and multicultural products, we have put together a list of some favorites which would make perfect holiday gifts for young language learners, multicultural children and a special teacher. Let us know if you can’t find what you are looking for. We are more than happy to help.